Say you’ve ditched your frozen dinners, gotten swept up in foodie culture, and, with new found enthusiasm, eat out and order seafood. You wax poetic about the merits of sustainable fish farming, but your smile suddenly wanes when your server brings the fish — whole. Or maybe you’re a college student embarking on your very first unpaid internship company lunch meeting. You arrive at the office looking sharp in that smart new number you scored off the clearance rack, only to discover that the boss has a hankering for barbecue. Or maybe you simply love food and self-improvement and are dying to find a new book to meet your niche! 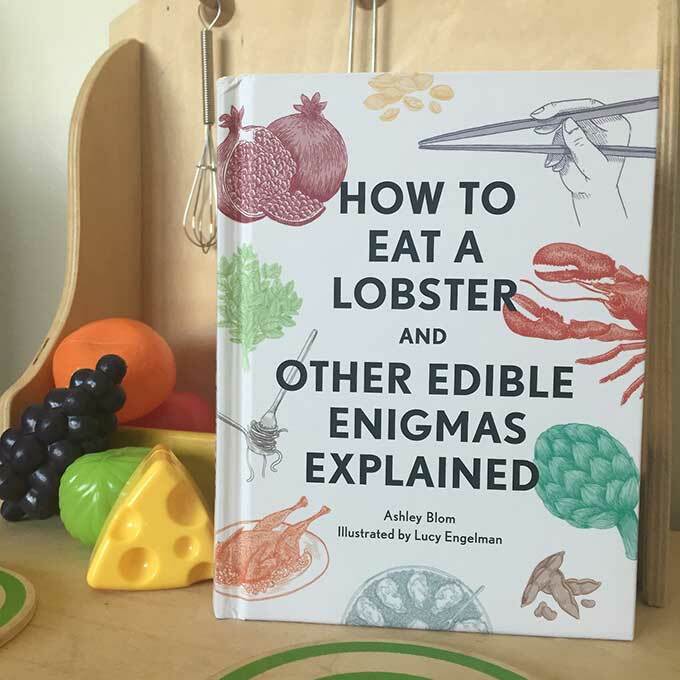 Whatever the case may be, How to Eat a Lobster has you covered. The book’s guidance is served up in three courses, each packed with easily digestible bites of how-tos. Tricky Techniques covers dissecting and devouring everything from escargot to pig’s head. Etiquette Enigmas finesses table manners like sipping soup and dividing up a bill. Foodie Fixes goes inside after the bite with tips for handling spicy food and bad breath. It’s even small enough to fit neatly in your bag in case any unanticipated food adventures pop up and leave you scratching your head over which fork to use. If you plan to sneak away to reference check your etiquette in a bathroom stall, just be sure to read the How to Excuse Yourself section before you take your seat at the table.